Part of a fantastic series that gets young readers reaching higher. Want to be on top? 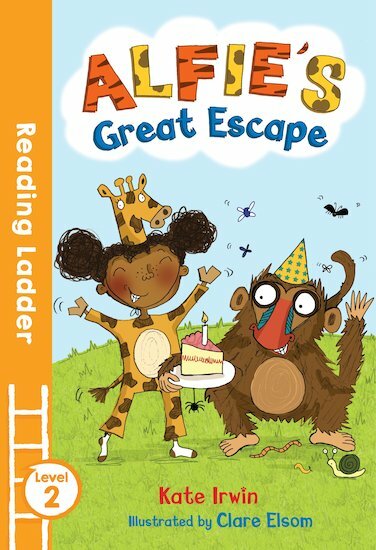 Climb the Reading Ladder! Alfie the baboon is fed up with living at the zoo. He wants to run away and meet some human people. After all, humans are friendly and kind. Not like those mean baboons back at the zoo, right? Then Alfie ends up at a fancy dress party. But human party guests do not mix with apes. Or do they?